Disclosure: I received a review copy of The Hate U Give from Pansing Books, a regional distributor, in exchange for an honest review. This does not affect my opinion of the book or the content of my review. Racism exists on many levels, and people experience it differently around the world every single day. For some, the level of prejudice could cost their lives. Angie Thomas took police violence against Black people under scrutiny. This is why I can’t exactly say that I loved The Hate U Give. It’s based on true accounts, even if fictionalised. 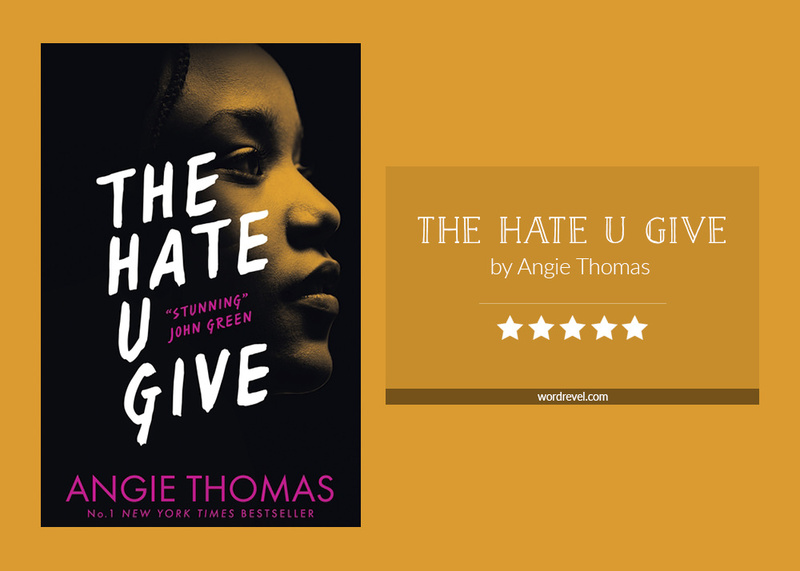 The Hate U Give elucidated the plight of Black people living in the USA. It showed why they might feel powerless and why they learn to protect themselves and to obey law enforcement when they’re still children. It portrayed experiences that aren’t uncommon for them yet might be foreign to many of us. It highlighted the urgency of the #BlackLivesMatter movement. What I can say about The Hate U Give is that I was impressed. The prose was solid, evoking thought and emotion in the reader throughout. The writing was clear with words chosen very precisely to tell this story with great impact. Since I live outside of the USA and my local vernacular is markedly different, it took me a while to ease into the way the main character narrated the story, and the way the characters spoke. Still, I’m glad for it. Language is part of culture, and Starr’s culture was apparent. At the end of The Hate U Give, I felt as though I had met all the characters in person. Starr’s family in particular, left a deep mark on me. Her parents were present and influential in Starr’s life, as was her uncle. Her younger brother’s antics often made me smile despite myself. As for her elder half-brother, I appreciated the struggles he faced as he was torn between Starr’s family and that of his mother, as well as how Starr navigated sharing a half-brother with her best friend. Overall, every character directly involved in the plot had a backstory. Some were explicitly laid out, while others were woven into the narration. That brought out motivations really well. The Hate U Give is such an important book focussed on current affairs. We can’t shy away from difficult topics such as these and shouldn’t turn a blind eye to discrimination, especially when violence is involved and lives are at stake. At the same time, The Hate U Give is a call and reminder to speak out against racism. I love that you addressed the language used in the book. I’m from outside the US too but I utterly agree that language and culture have a hugely important tie that we need to acknowledge and not avoid when it might be difficult for us. I hadn’t fully considered it when I read the book, but reading your review made me realise how important it is that the victim wasn’t idolised. People can do bad things, but it doesn’t justify their senseless murder. We as people need to acknowledge that an individual’s imperfections do not mean they were bad people who had it coming. Environment and experience and necessity are all things that impact what people do, and I’m really glad that THUG acknowledged this rather than portray the victim as perfect. He was human and he deserved to live. Yeah, I really thought the strength of the story lay in the imperfection of the characters, especially of the victim. It’s easy to say the victim didn’t deserve it if they were exemplary in conduct. The difference, though, becomes apparent when someone made mistakes, do we still defend the outcomes? I’ve heard so much about THUG this year and I still haven’t read it! It’s definitely one contemporary I have to make an effort to check out sooner rather than later. I don’t know all that much about the situation in the US and do want to understand it better.